Downtown Geneva is proof that if all parts of a community come together – a dramatic turnaround is possible. 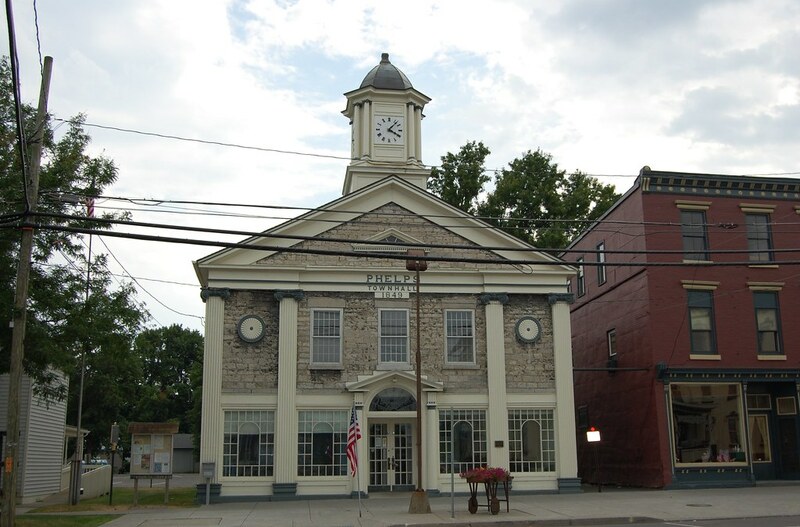 The City has evolved in the last two decades, transforming into a diverse, vibrant destination in the heart of the Finger Lakes. Through grants from the state and dedicated community involvement, Geneva is now one of Upstate New York’s most desired locations for music and beverage fans alike. With a movement towards the arts, Geneva is becoming a hub for unique bars and eateries. 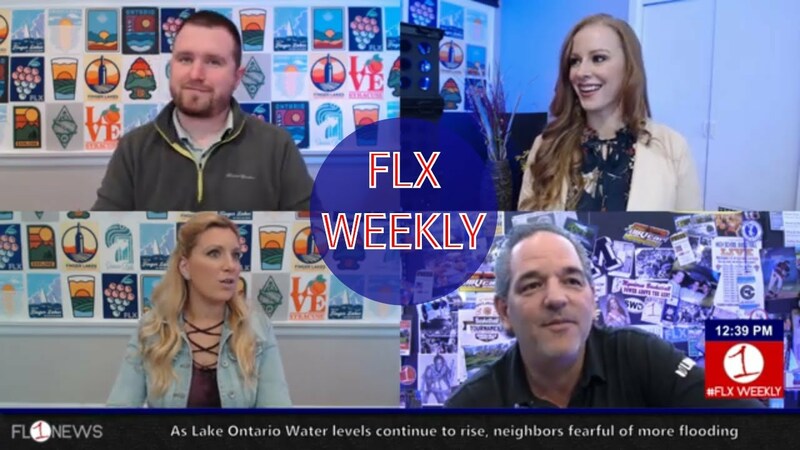 Businesses like Kashong Creek, FLX Live and Linden Social Club hone in on what Geneva residents are wanting – live music and local brews. This movement is centered on inclusion of the community and improving the area that residents wish to spend their lives. Owners of these new businesses are local and are dedicated to making this dream come true. Lake Drum Brewery opened its doors on Castle Street two years ago and, in doing so, hopped on Geneva’s new vibe wagon. Founded by two Hobart and William Smith grads, this new business fits the bill for revamping Geneva and doing so with local ties. The brewery is focused on providing a space reminiscent “of the creative experimental style of the Geneva revolution,” according to their mission statement. This has been achieved through fortunate gifts and business decisions made by the owners. The pair utilized their locality developed through attending HWS to get their business off the ground. With the help of surrounding communities and generous donors, they achieved their fundraising goal of $10,000.00 in December of 2014 and have continued to be successful ever since. In speaking with students, it is obvious that Lake Drum has become one of HWS’s most popular choices for the downtown social scene. Emily Smith, a senior at William Smith considers herself one of Lake Drum’s most loyal customers. A native of Buffalo, Smith is familiar with breweries and what makes a local craft pub a great one. Heading their website with the slogan, “Local Crew. 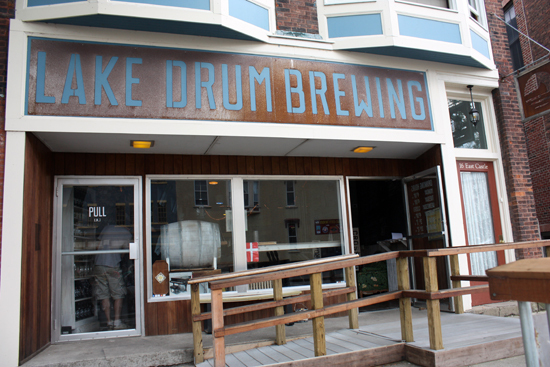 Local Brew,“ Lake Drum Brewery and its developers have integrated themselves well into the up-and-coming Geneva scene. Combining local produce, the Colleges and the city, the Geneva ties flow through their beer and cider. Ali Townsend is a senior at Hobart & William Smith Colleges studying media and society. Throughout the next several months she will be contributing to FingerLakes1.com News covering a range of topics. Send story ideas and news tips to contact@fingerlakes1.com.